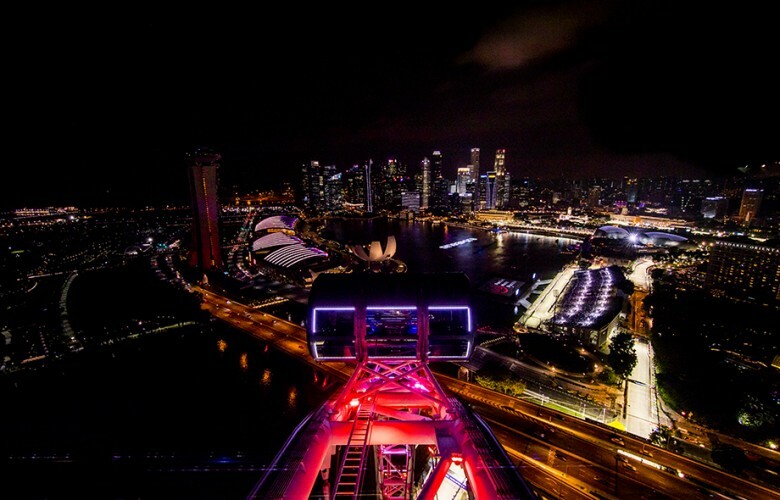 General view of Singapore by night is seen during qualifying for the Singapore Formula One Grand Prix at Marina Bay Circuit on September 15, 2017 in Singapore, SINGAPORE. 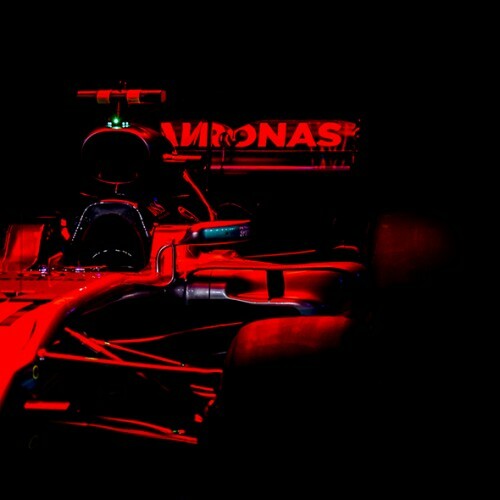 Valtteri Bottas's W08 Mercedes stands inside the garage lit up red during previews for the Singapore Formula One Grand Prix at Marina Bay Circuit on September 14, 2017 in Singapore, SINGAPORE. Romain Grosjean of France and Haas F1 Team drives his VF17 during practice for the Singapore Formula One Grand Prix at Marina Bay Circuit on September 15, 2017 in Singapore, SINGAPORE. 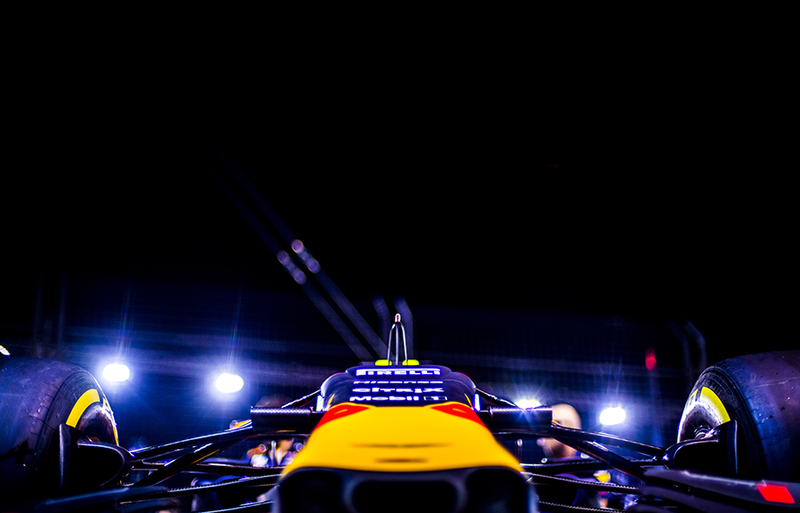 Daniel Ricciardo of Australia and Red Bull Racing inside his cockpit during practice for the Singapore Formula One Grand Prix at Marina Bay Circuit on September 15, 2017 in Singapore, SINGAPORE. 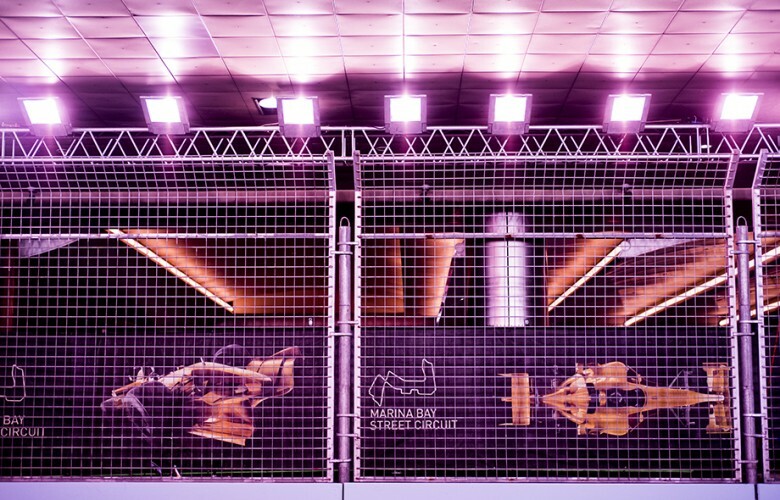 Max Verstappen of Netherlands and Red Bull Racing is cooling him self down inside his cockpit during practice for the Singapore Formula One Grand Prix at Marina Bay Circuit on September 15, 2017 in Singapore, SINGAPORE. Max Verstappen's Red Bull RB13 is pictured in the pitlane during previews for the Singapore Formula One Grand Prix at Marina Bay Circuit on September 14, 2017 in Singapore, SINGAPORE. Kimi Raikkonen of Finland and Scuderia Ferrari drives his SF70H during practice prior quylifying for the Singapore Formula One Grand Prix at Marina Bay Circuit on September 16, 2017 in Singapore, SINGAPORE. 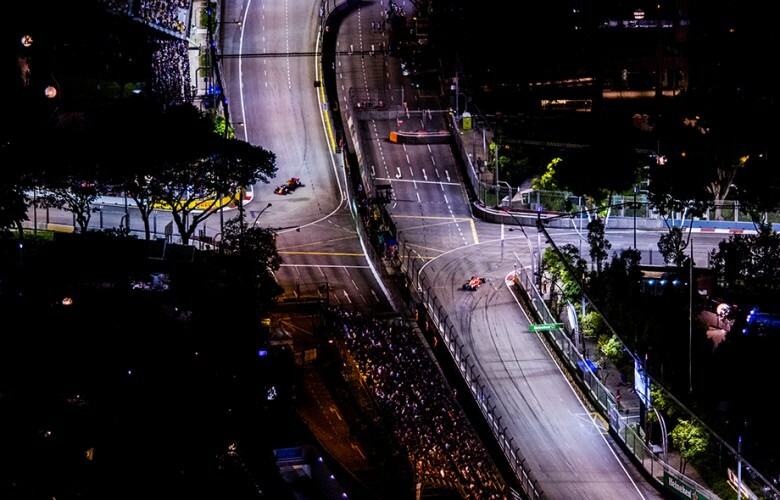 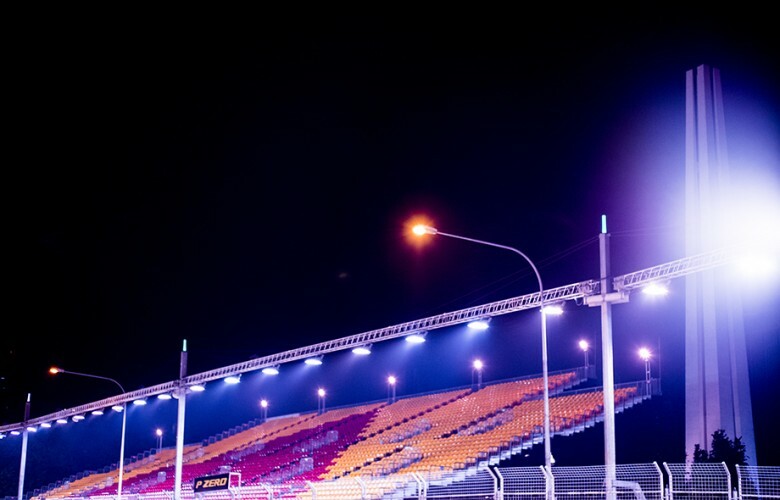 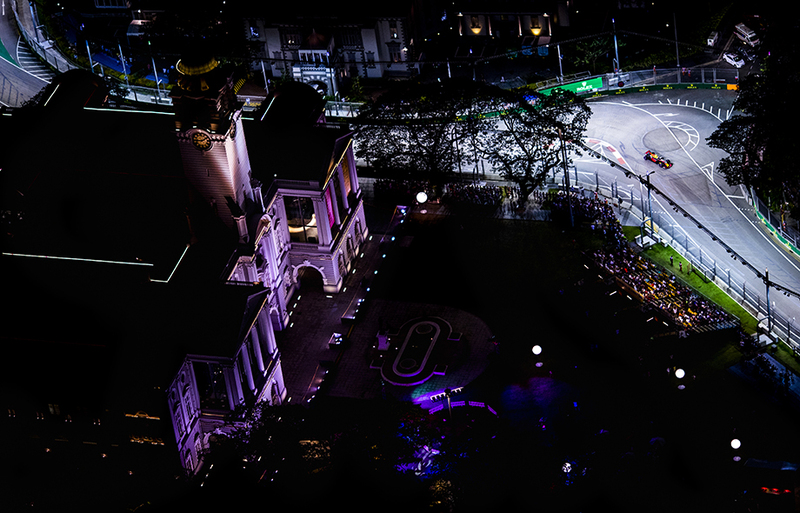 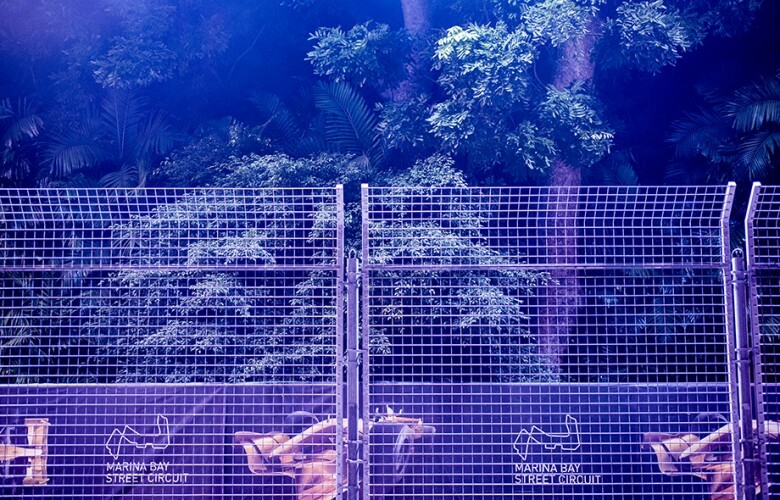 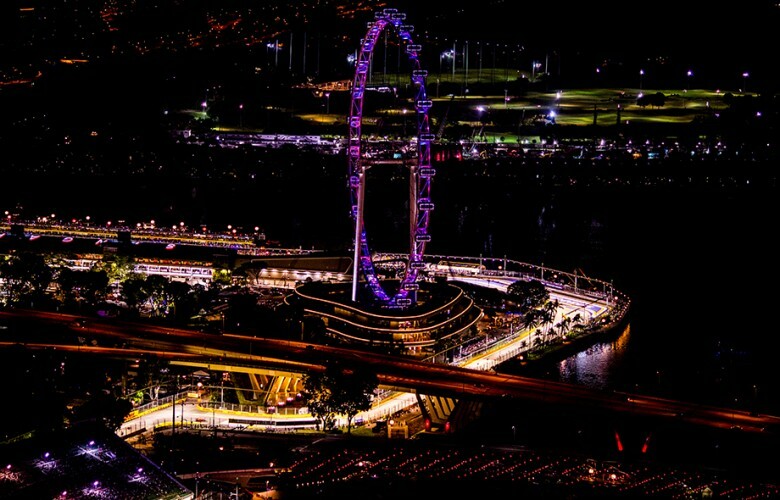 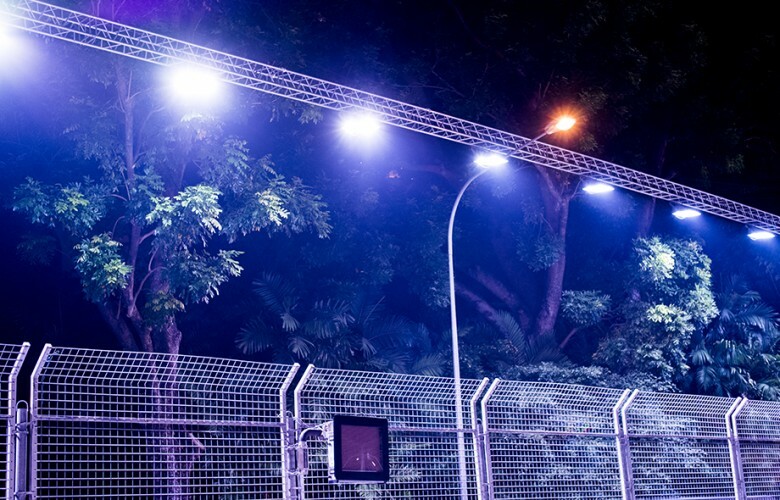 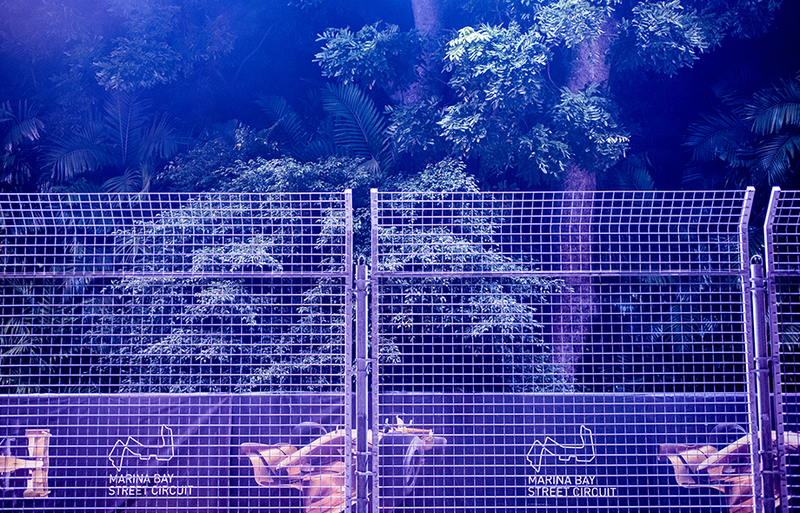 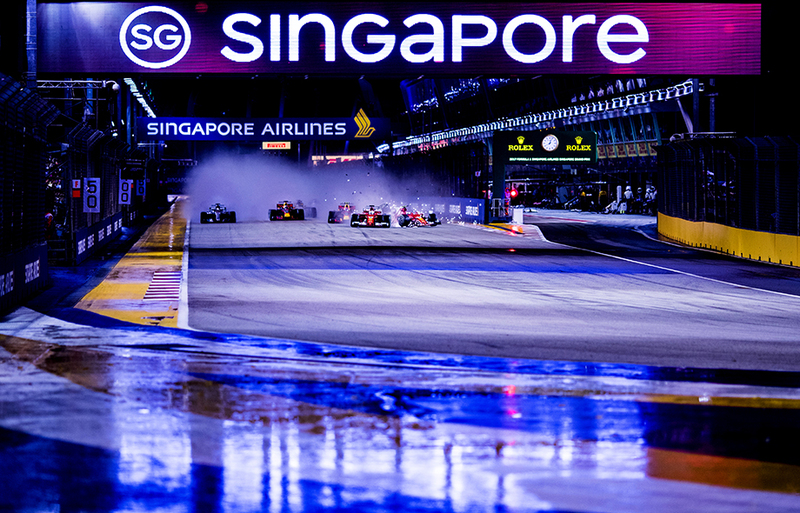 General view of the track by night is seen following practice for the Singapore Formula One Grand Prix at Marina Bay Circuit on September 14, 2017 in Singapore, SINGAPORE. 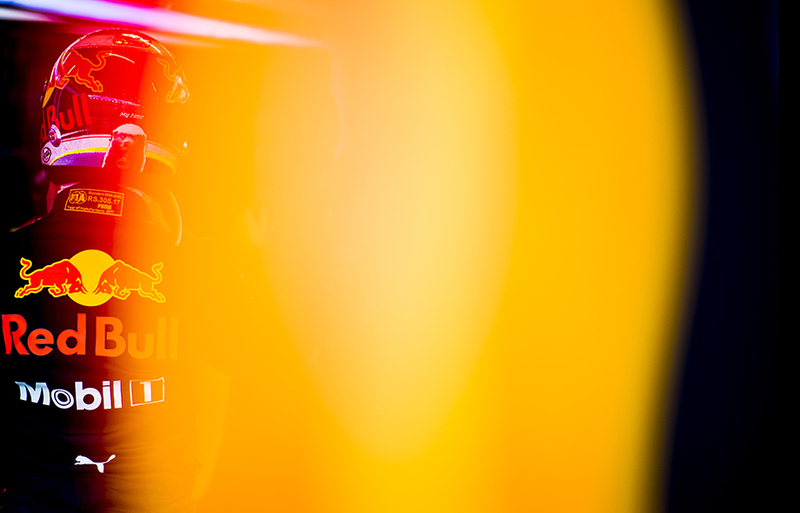 Daniel Ricciardo of Australia and Red Bull Racing gets ready during practice for the Singapore Formula One Grand Prix at Marina Bay Circuit on September 15, 2017 in Singapore, SINGAPORE. 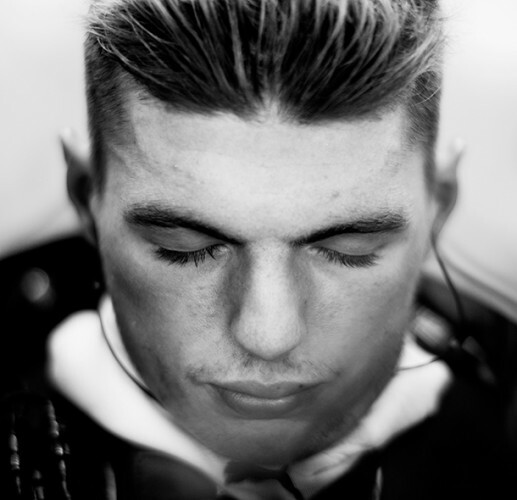 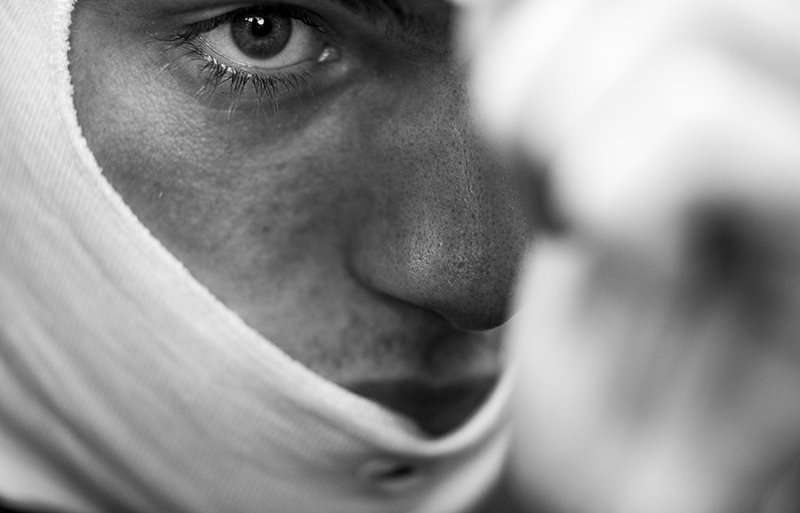 Max Verstappen of Netherlands and Red Bull Racing gets ready during practice for the Singapore Formula One Grand Prix at Marina Bay Circuit on September 15, 2017 in Singapore, SINGAPORE. 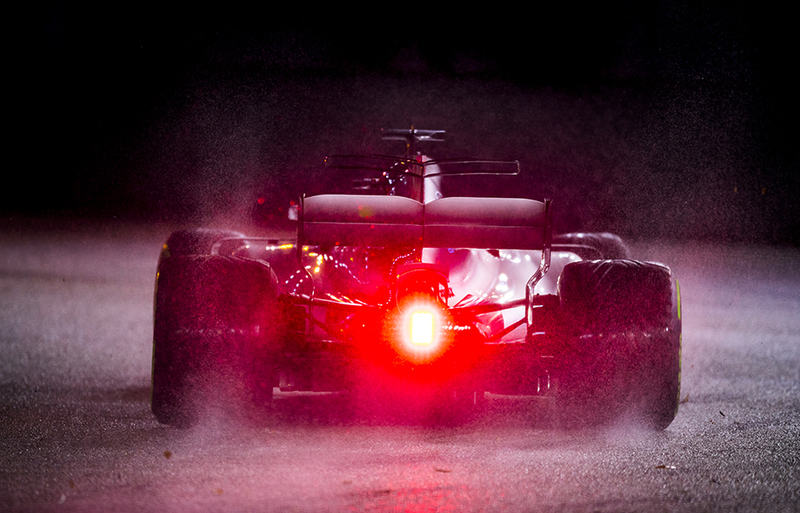 Daniel Ricciardo of Australia and Red Bull Racing drives his RB13 during practice for the Singapore Formula One Grand Prix at Marina Bay Circuit on September 15, 2017 in Singapore, SINGAPORE. 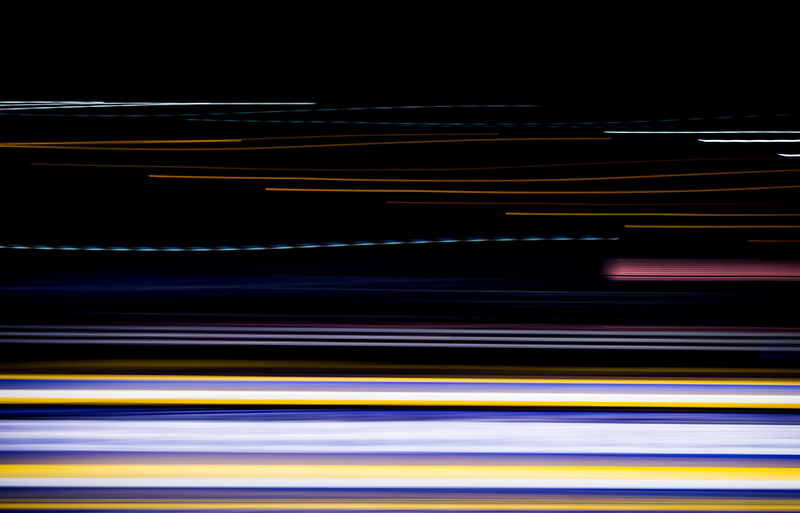 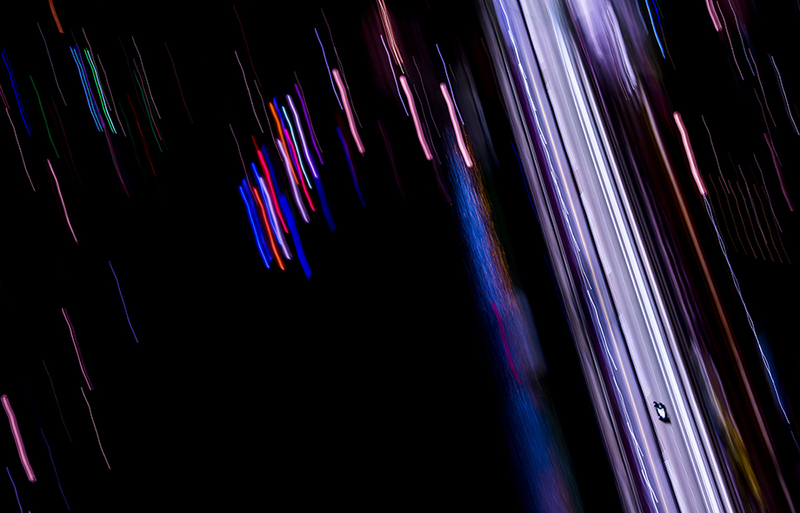 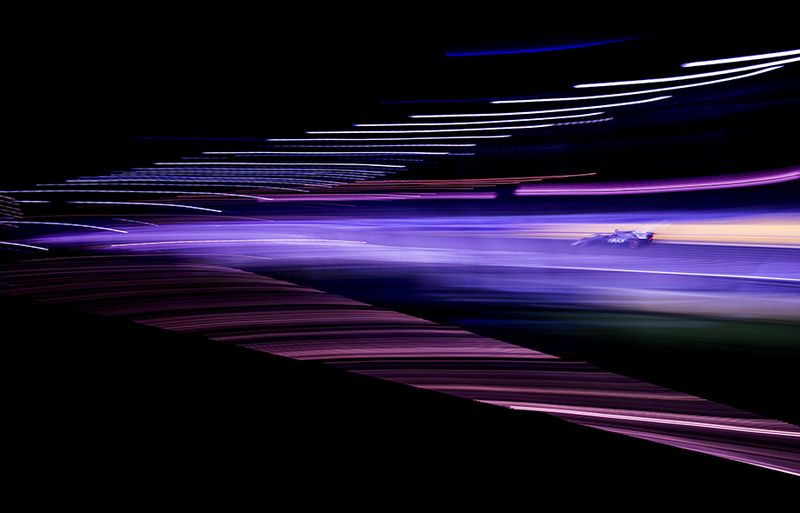 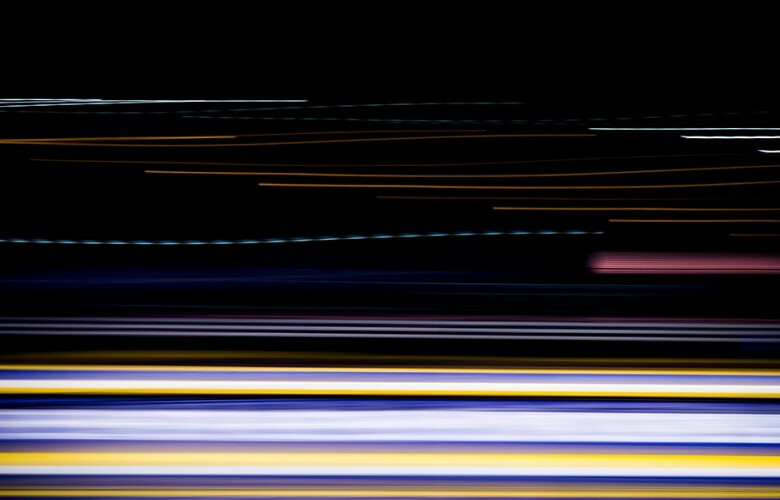 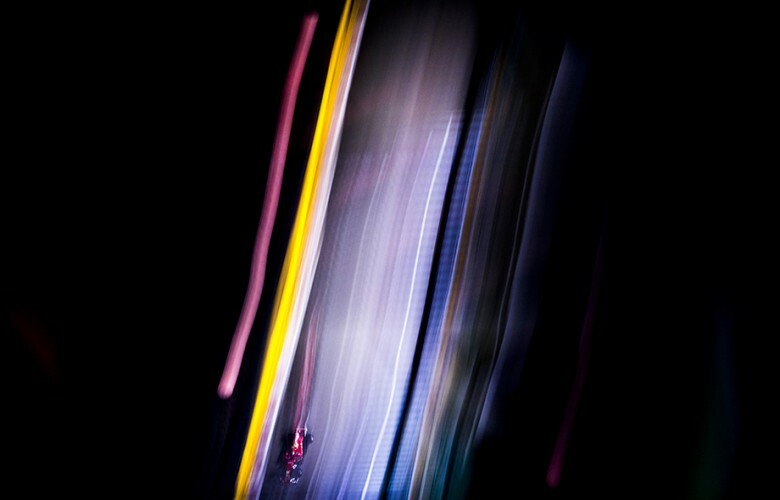 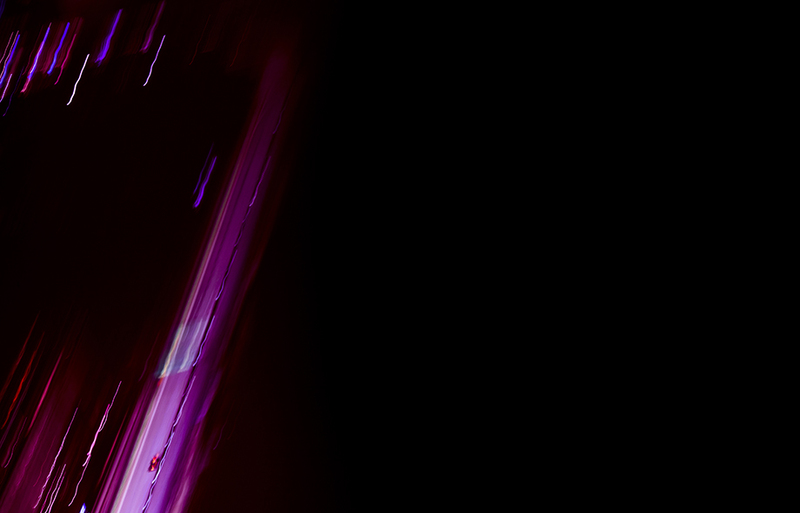 Lights and colors during practice for the Singapore Formula One Grand Prix at Marina Bay Circuit on September 15, 2017 in Singapore, SINGAPORE. 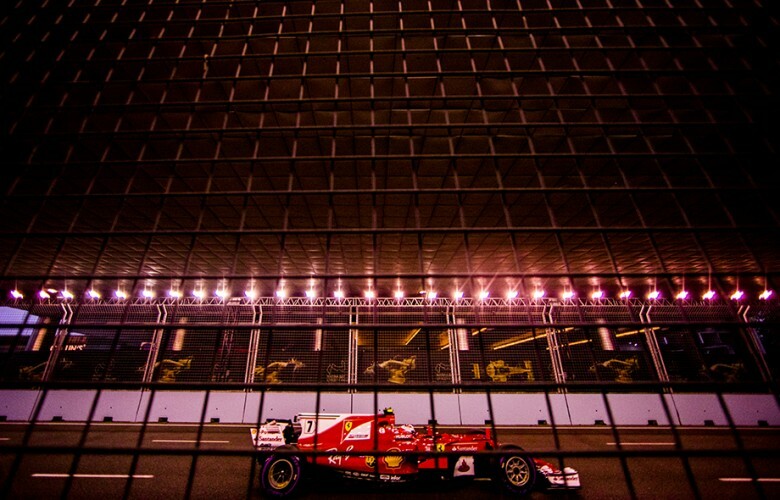 Kimi Raikkonen of Finland and Scuderia Ferrari drives his SF70H during practice for the Singapore Formula One Grand Prix at Marina Bay Circuit on September 15, 2017 in Singapore, SINGAPORE. 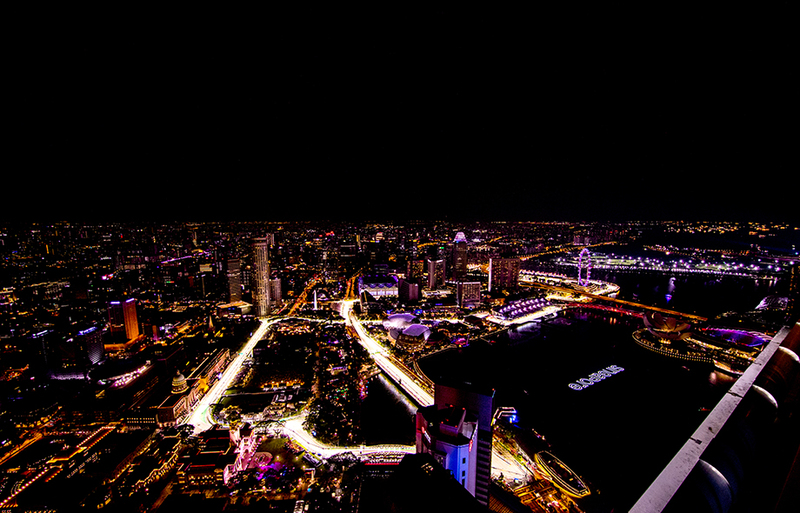 General view of Singapore by night is seen during practice for the Singapore Formula One Grand Prix at Marina Bay Circuit on September 15, 2017 in Singapore, SINGAPORE. 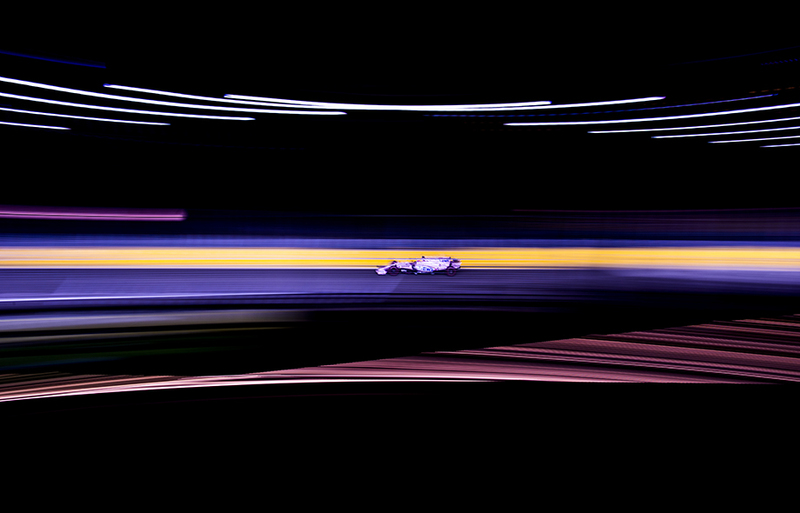 Sergio Perez of Mexico and Sahara Force India drives his VJM10 during practice for the Singapore Formula One Grand Prix at Marina Bay Circuit on September 15, 2017 in Singapore, SINGAPORE. 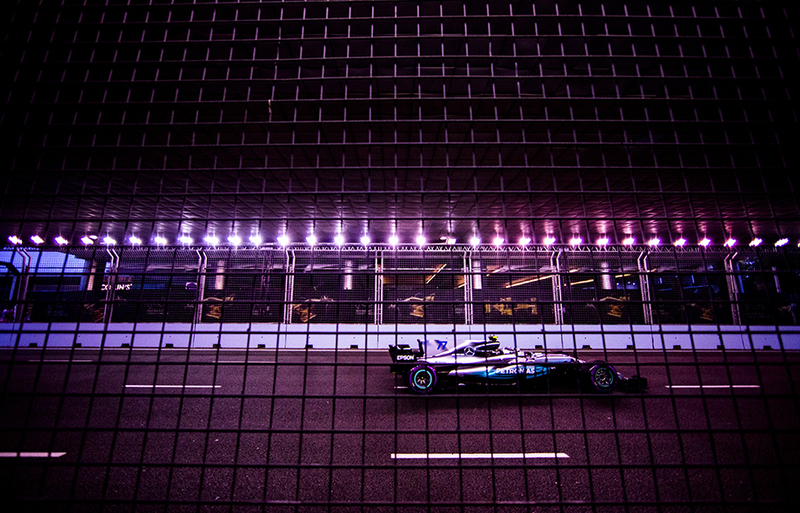 Valtteri Bottas of Finland and Mercedes AMG Petronas drives his W08 during practice prior quylifying for the Singapore Formula One Grand Prix at Marina Bay Circuit on September 16, 2017 in Singapore, SINGAPORE. 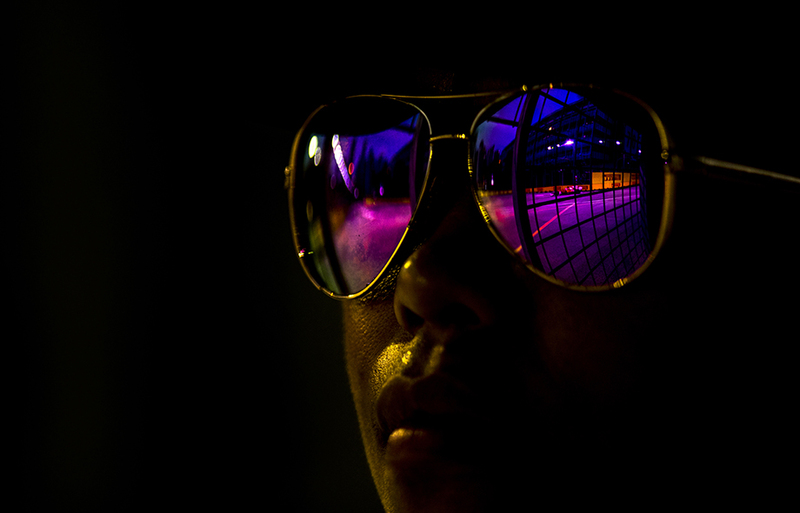 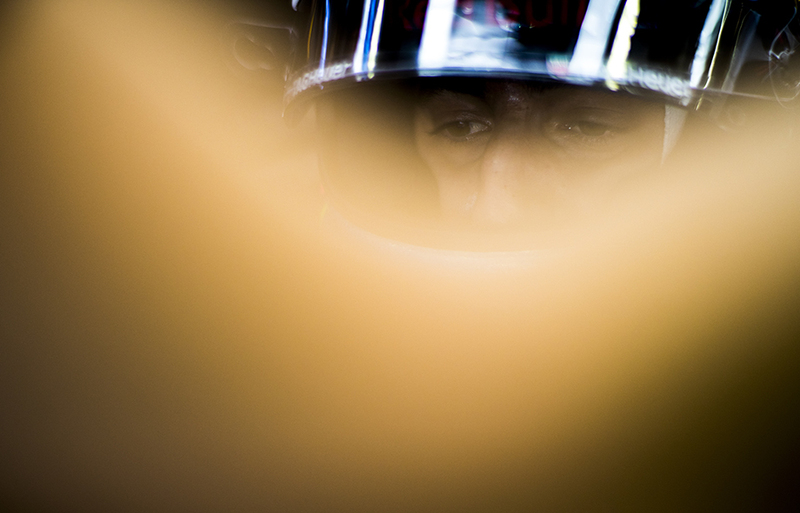 Sebastian Vettel of Germany and Scuderia Ferrari is seen reflected inside the glasses of a track marshall during practice prior quylifying for the Singapore Formula One Grand Prix at Marina Bay Circuit on September 16, 2017 in Singapore, SINGAPORE. 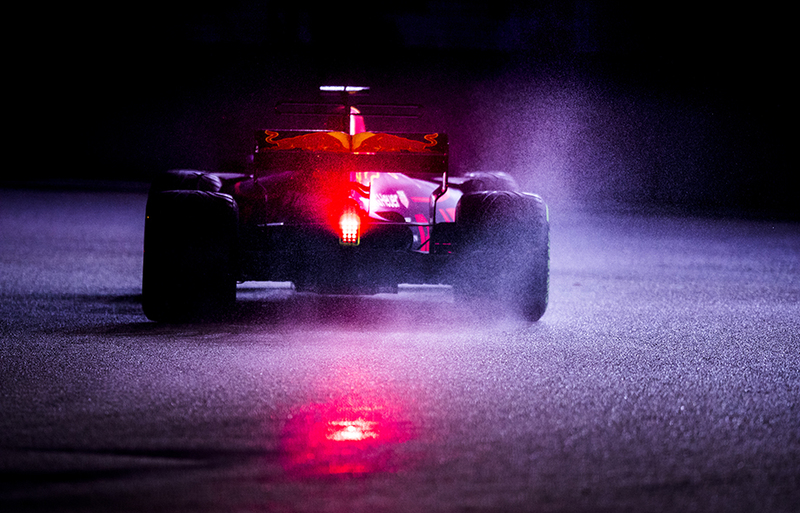 Max Verstappen of Netherlands and Red Bull Racing drives his RB13 during practice prior quylifying for the Singapore Formula One Grand Prix at Marina Bay Circuit on September 16, 2017 in Singapore, SINGAPORE. 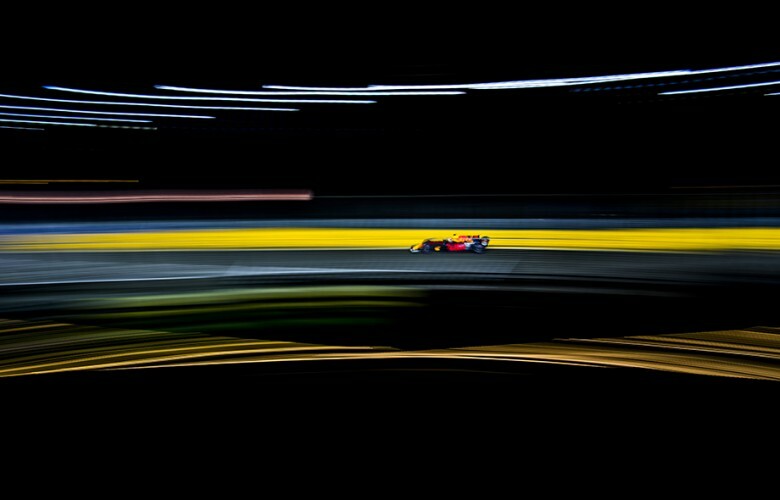 Max Verstappen of Netherlands and Red Bull Racing drives his RB13 during qualifying for the Singapore Formula One Grand Prix at Marina Bay Circuit on September 16, 2017 in Singapore, SINGAPORE. 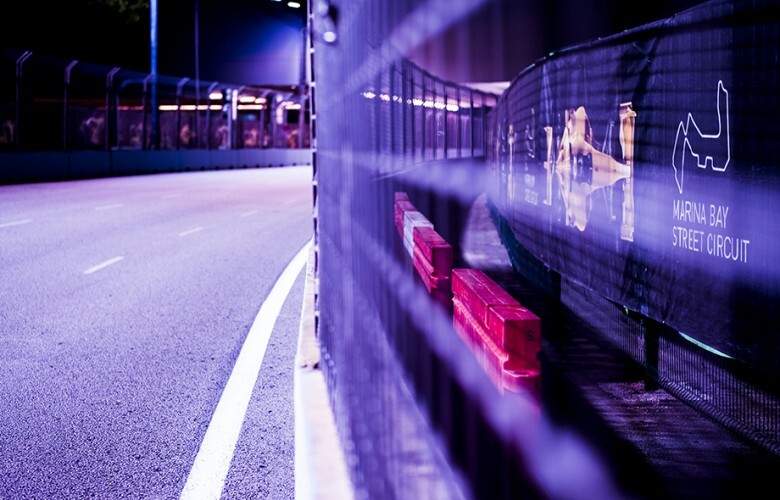 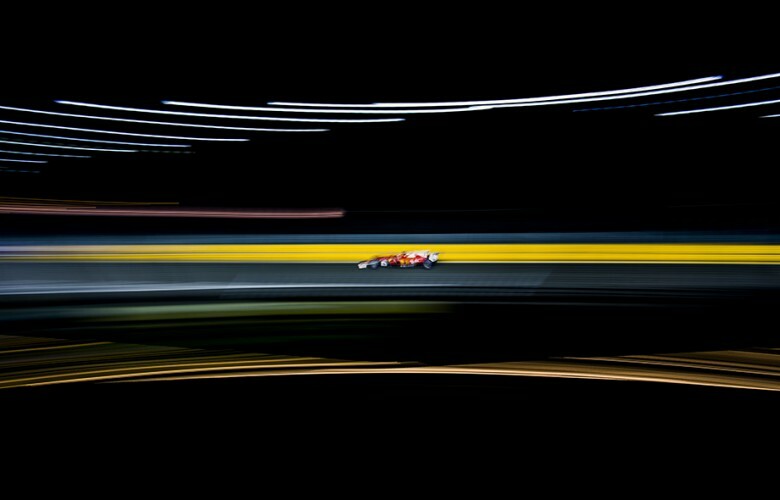 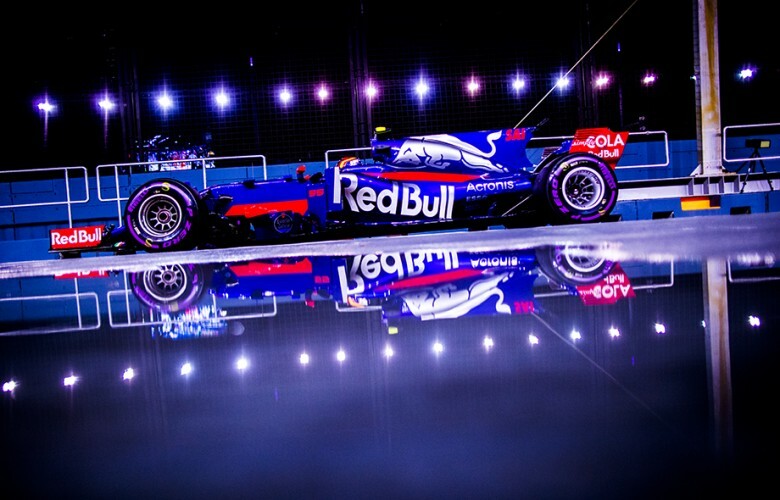 Carlos Sainz of Spain and Scuderia Toro Rosso drives down the pitlane during the Singapore Formula One Grand Prix at Marina Bay Circuit on September 17, 2017 in Singapore, SINGAPORE. 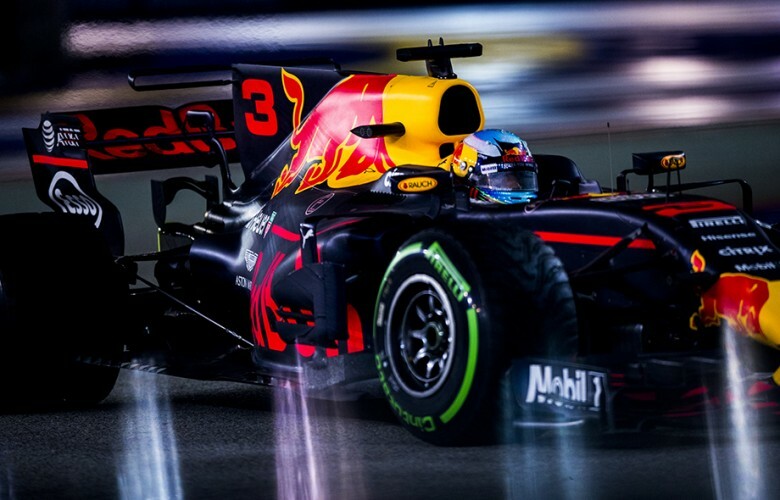 Daniel Ricciardo of Australia and Red Bull Racing drives his RB13 during qualifying for the Singapore Formula One Grand Prix at Marina Bay Circuit on September 16, 2017 in Singapore, SINGAPORE. 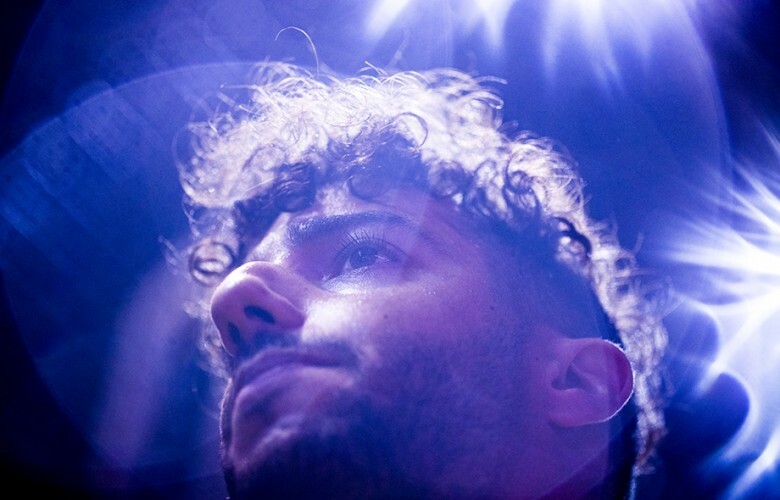 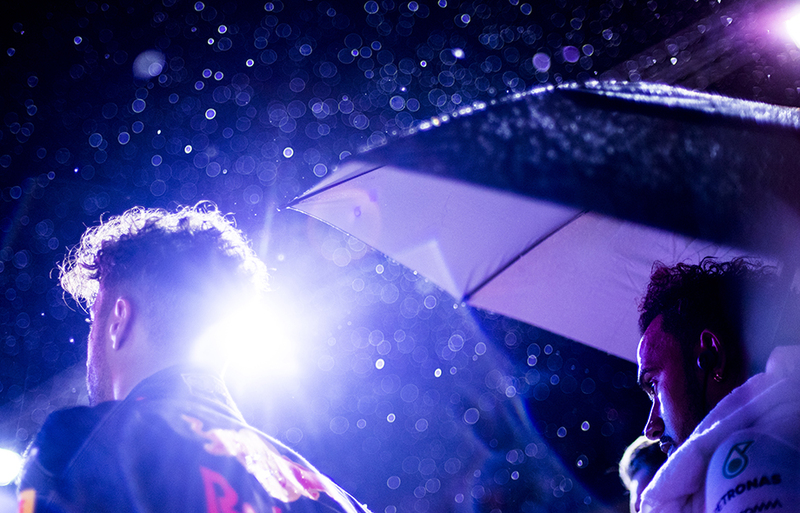 Daniel Ricciardo of Australia and Red Bull Racing is seen on the grid prior to the Singapore Formula One Grand Prix at Marina Bay Circuit on September 17, 2017 in Singapore, SINGAPORE. Daniel Ricciardo of Australia and Red Bull Racing and Kimi Raikkonen of Finland and Scuderia Ferrari are seen during qualifying for the Singapore Formula One Grand Prix at Marina Bay Circuit on September 16, 2017 in Singapore, SINGAPORE. 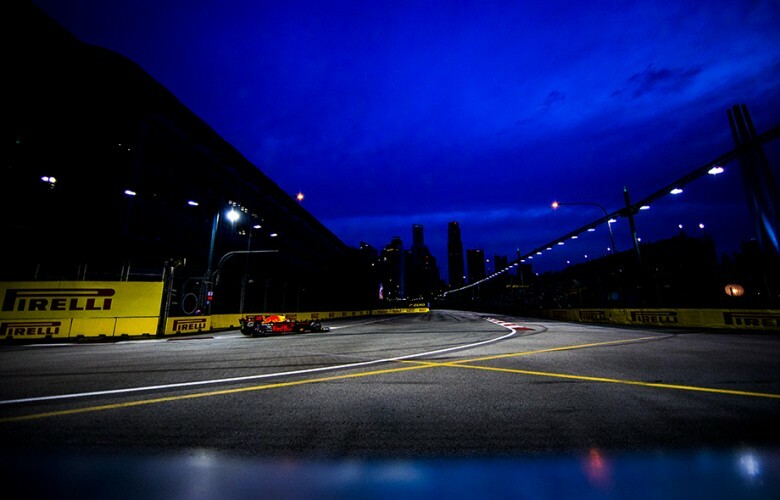 Kimi Raikkonen of Finland and Scuderia Ferrari in action during practice for the Singapore Formula One Grand Prix at Marina Bay Circuit on September 15, 2017 in Singapore, SINGAPORE. 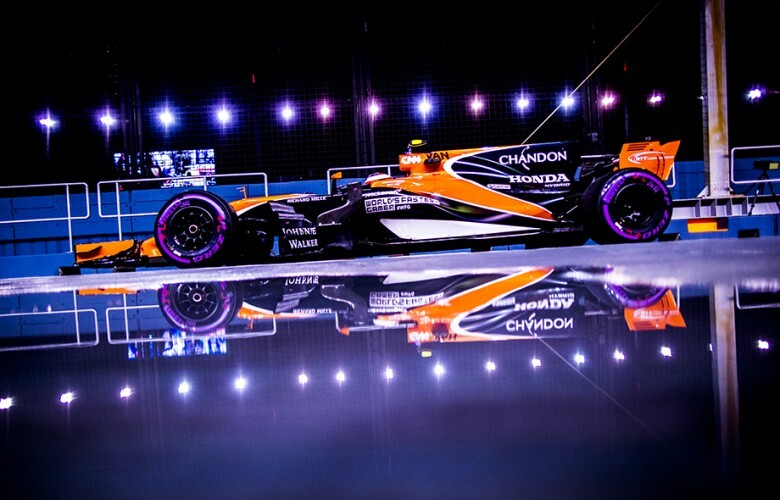 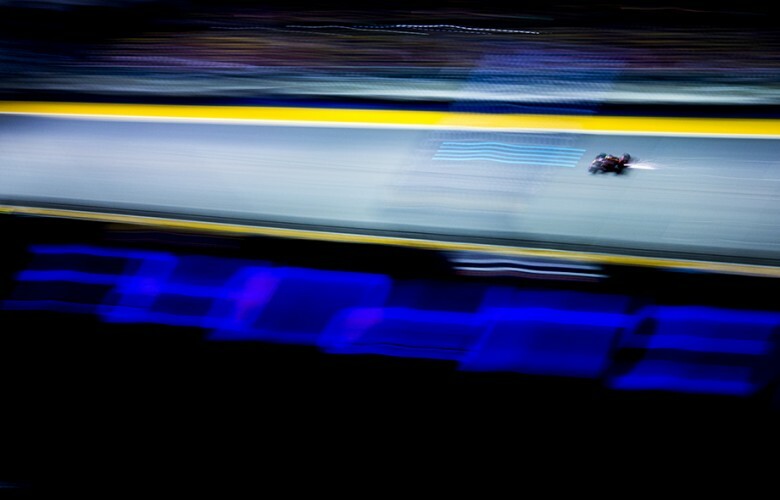 Stoffel Vandoorne of Belgium and McLaren-Honda drives down the pitlane during the Singapore Formula One Grand Prix at Marina Bay Circuit on September 17, 2017 in Singapore, SINGAPORE. Valtteri Bottas of Finland and Mercedes AMG Petronas drives his W08 during qualifying for the Singapore Formula One Grand Prix at Marina Bay Circuit on September 16, 2017 in Singapore, SINGAPORE. 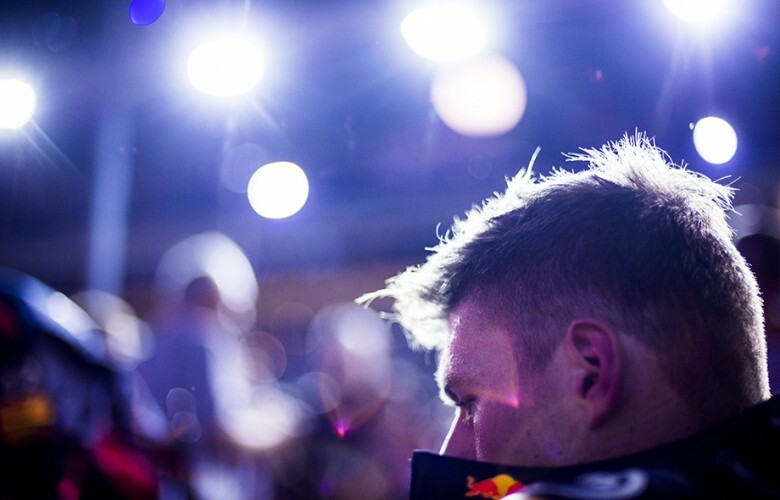 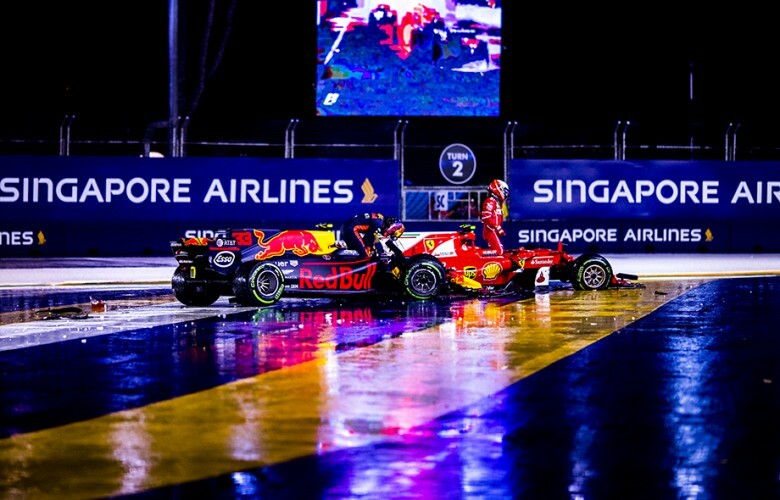 Max Verstappen of Netherlands and Red Bull Racing arrives on the grid for the Singapore Formula One Grand Prix at Marina Bay Circuit on September 17, 2017 in Singapore, SINGAPORE. 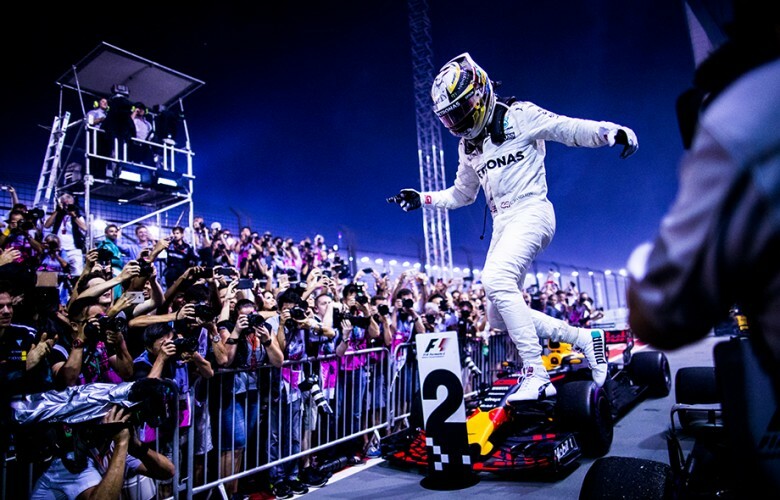 Daniel Ricciardo of Australia and Red Bull Racing and Lewis Hamilton of Great Britain and Mercedes AMG Petronas stand for Singapore national anthem ahead of the Singapore Formula One Grand Prix at Marina Bay Circuit on September 17, 2017 in Singapore, SINGAPORE. 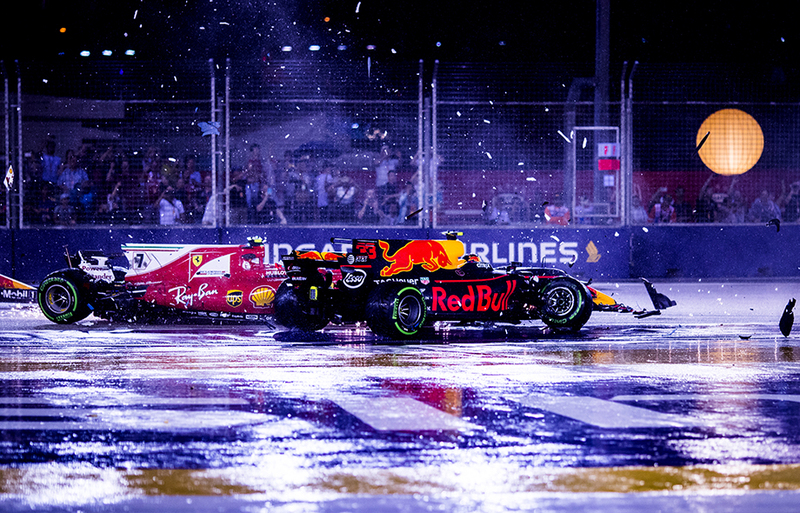 Sebastian Vettel of Germany and Scuderia Ferrari, Max Verstappen of Netherlands and Red Bull Racing and Kimi Raikkonen of Finland and Scuderia Ferrari crash following the start of the Singapore Formula One Grand Prix at Marina Bay Circuit on September 17, 2017 in Singapore, SINGAPORE. Kimi Raikkonen of Finland and Scuderia Ferrari, Max Verstappen of Netherlands and Red Bull Racing and Fernando Alonso of Spain and McLaren-Honda crash following the start of the Singapore Formula One Grand Prix at Marina Bay Circuit on September 17, 2017 in Singapore, SINGAPORE. 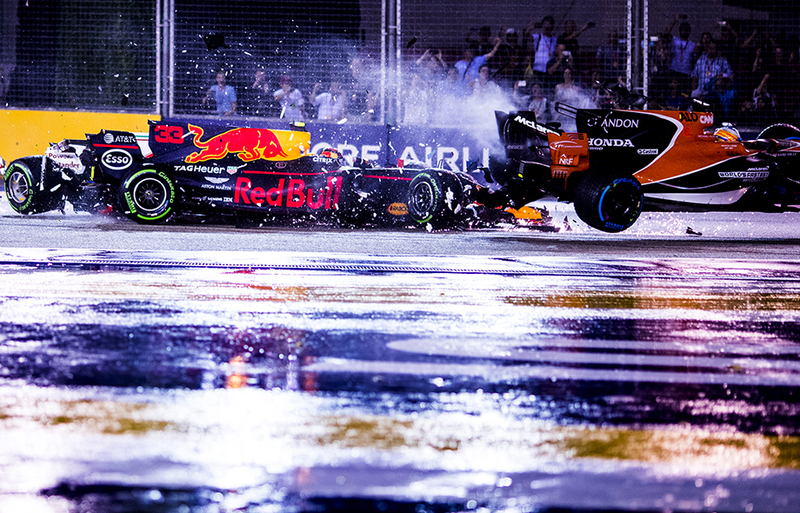 Kimi Raikkonen of Finland and Scuderia Ferrari and Max Verstappen of Netherlands and Red Bull Racing crash following the start of the Singapore Formula One Grand Prix at Marina Bay Circuit on September 17, 2017 in Singapore, SINGAPORE. 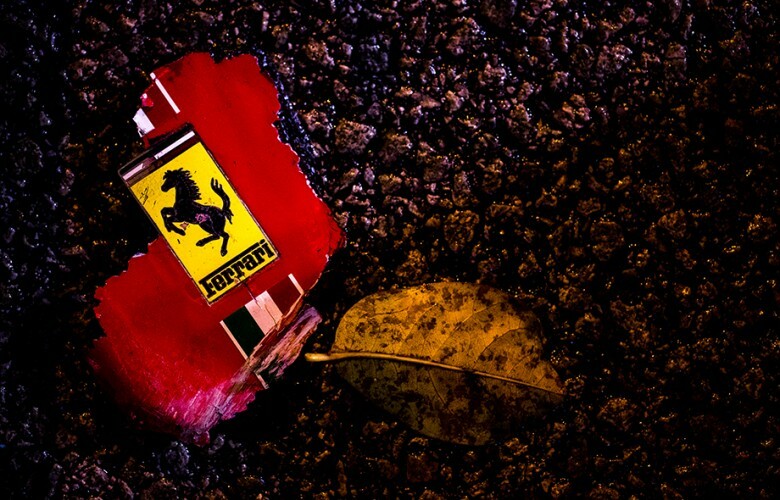 A piece of Sebastian Vettel's Ferrari lays on the ground following his retirement in turn 3 during the Singapore Formula One Grand Prix at Marina Bay Circuit on September 17, 2017 in Singapore, SINGAPORE. 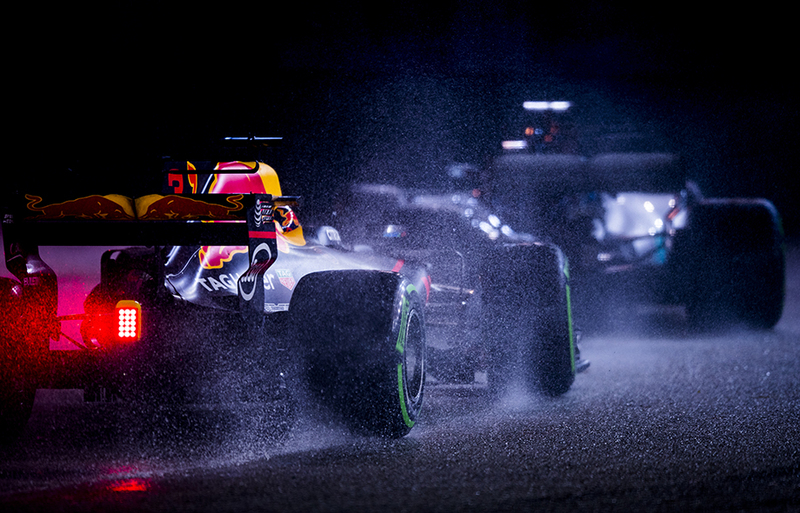 Daniel Ricciardo of Australia and Red Bull Racing drives his RB13 during the Singapore Formula One Grand Prix at Marina Bay Circuit on September 17, 2017 in Singapore, SINGAPORE. 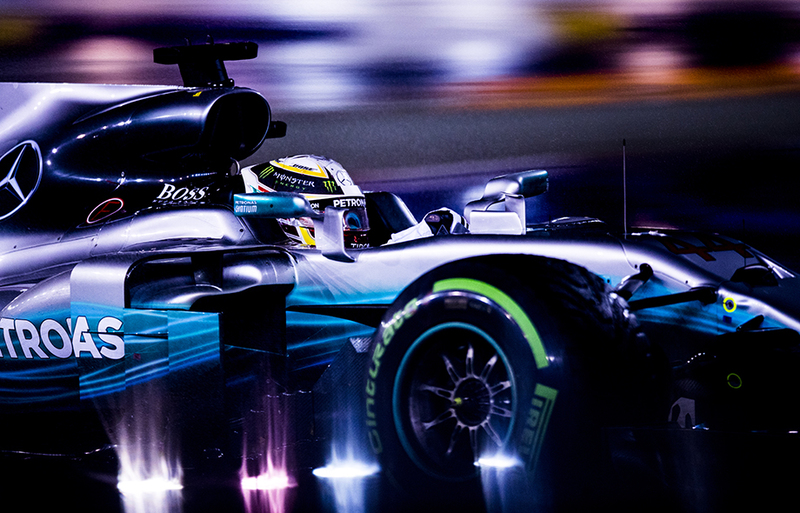 Lewis Hamilton of Great Britain and Mercedes AMG Petronas drives in W08 during the Singapore Formula One Grand Prix at Marina Bay Circuit on September 17, 2017 in Singapore, SINGAPORE. 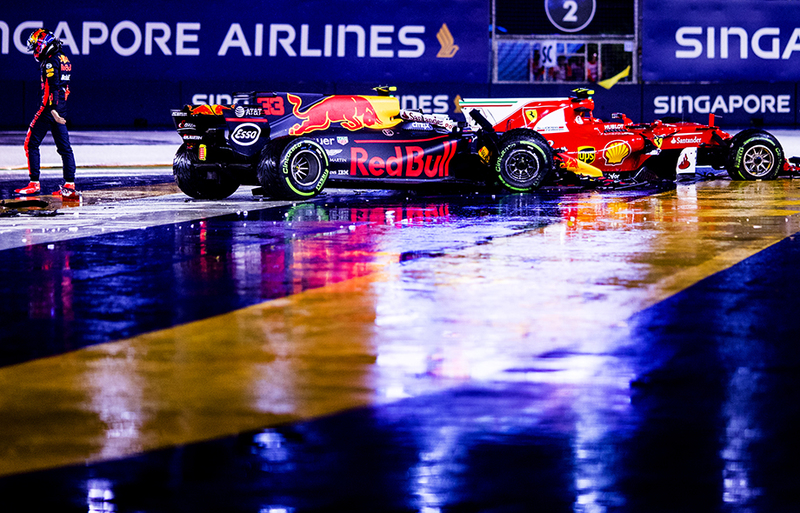 Lewis Hamilton of Great Britain and Mercedes AMG Petronas leads Daniel Ricciardo of Australia and Red Bull Racing during the Singapore Formula One Grand Prix at Marina Bay Circuit on September 17, 2017 in Singapore, SINGAPORE. 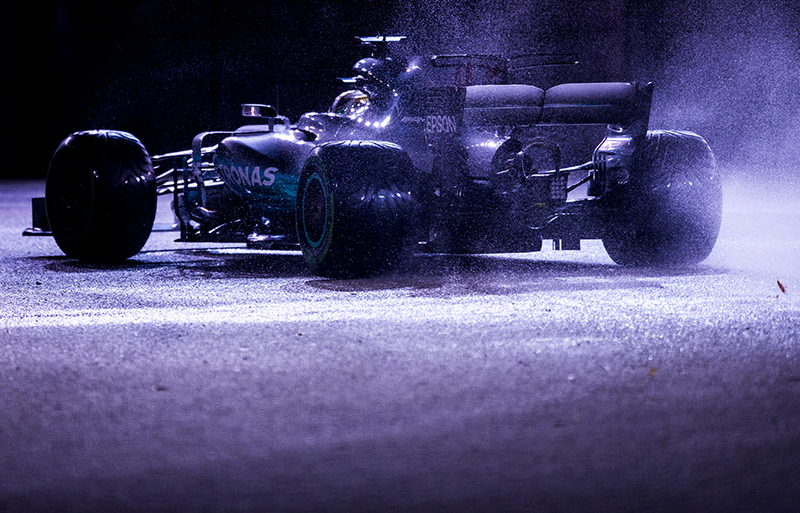 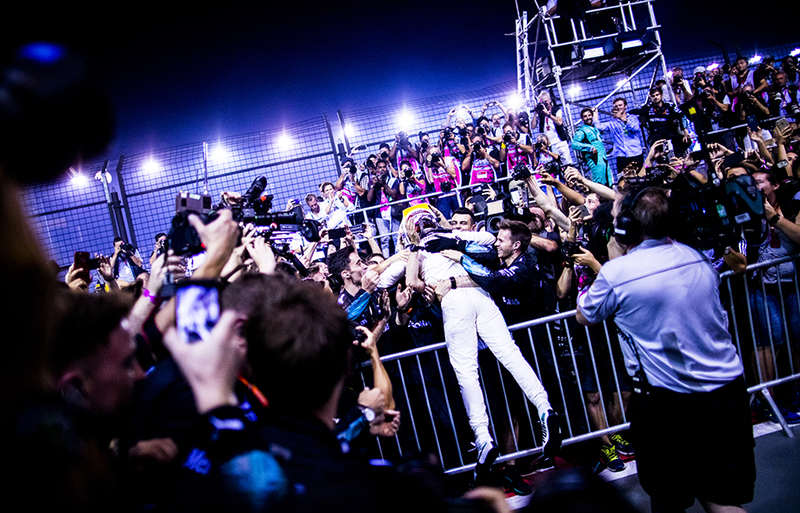 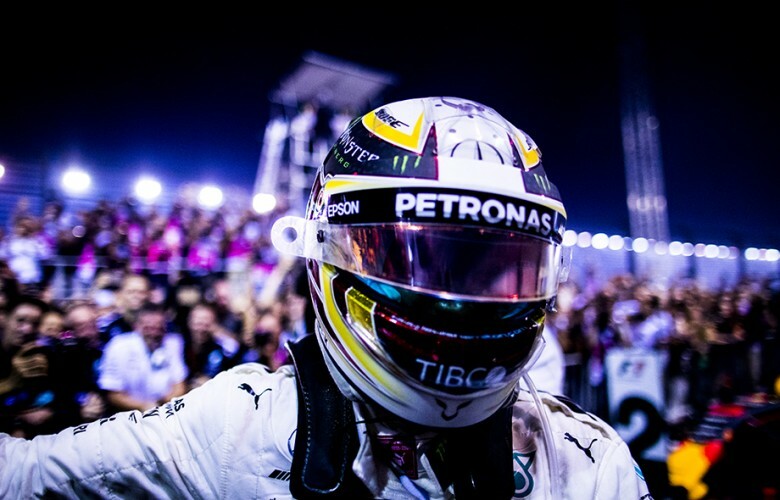 Lewis Hamilton of Great Britain and Mercedes AMG Petronas celebrates in Parc Ferme following his win during the Singapore Formula One Grand Prix at Marina Bay Circuit on September 17, 2017 in Singapore, SINGAPORE. 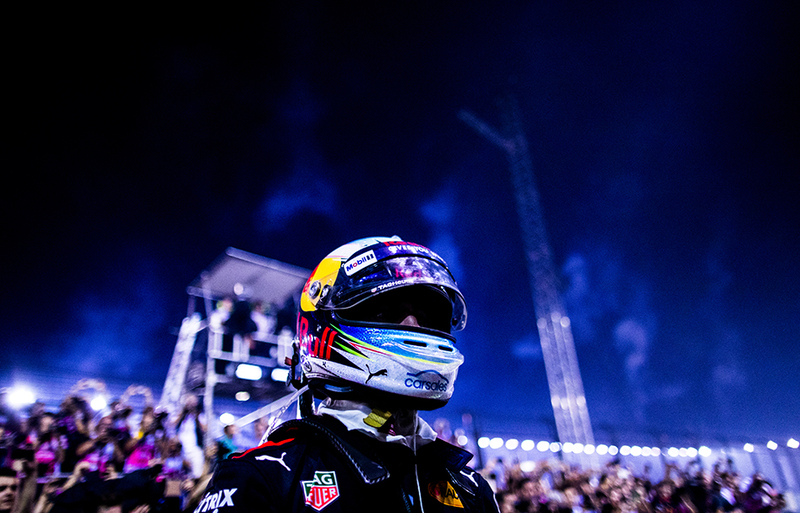 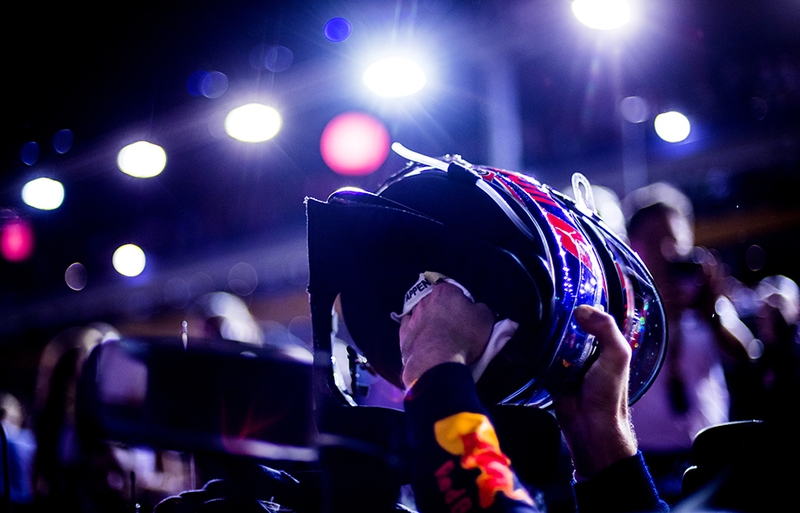 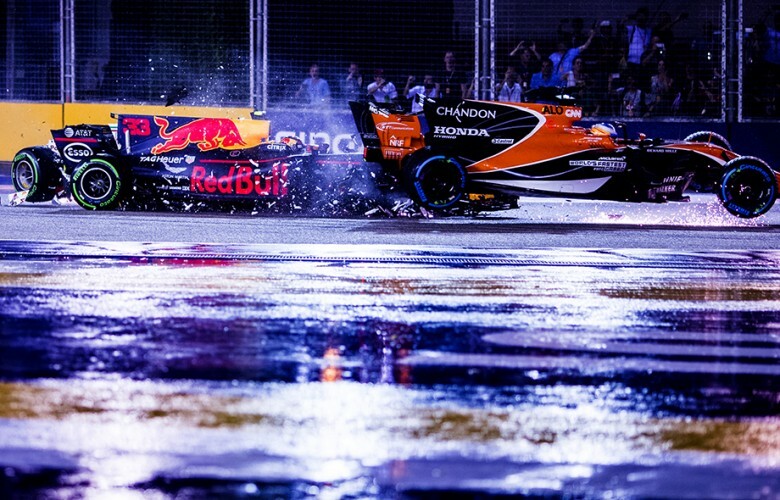 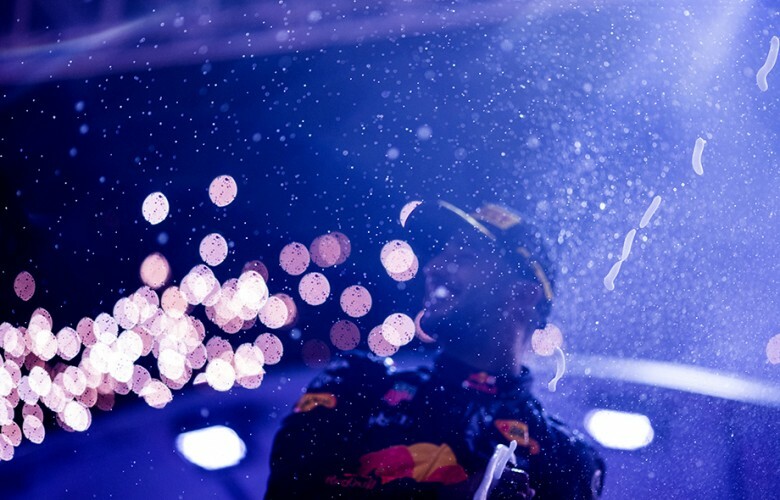 Daniel Ricciardo of Australia and Red Bull Racing inside the Parc Ferme following his second place finishing during the Singapore Formula One Grand Prix at Marina Bay Circuit on September 17, 2017 in Singapore, SINGAPORE. 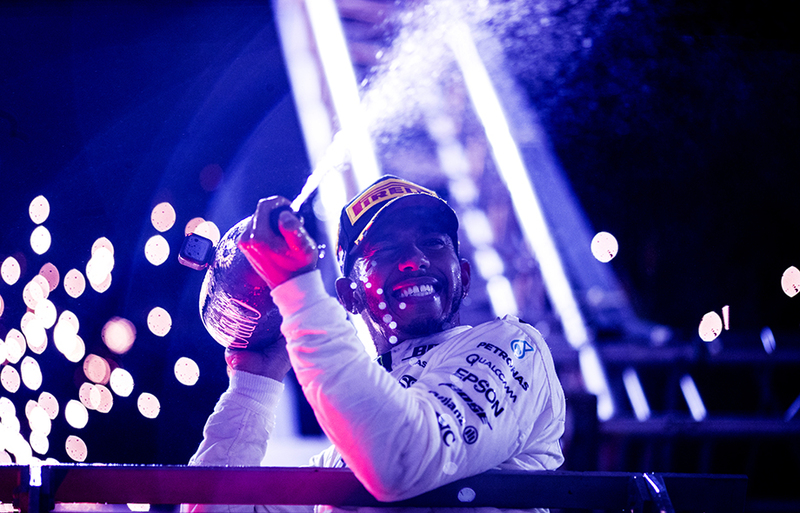 Lewis Hamilton of Great Britain and Mercedes AMG Petronas celebrates on the podium following his win during the Singapore Formula One Grand Prix at Marina Bay Circuit on September 17, 2017 in Singapore, SINGAPORE. 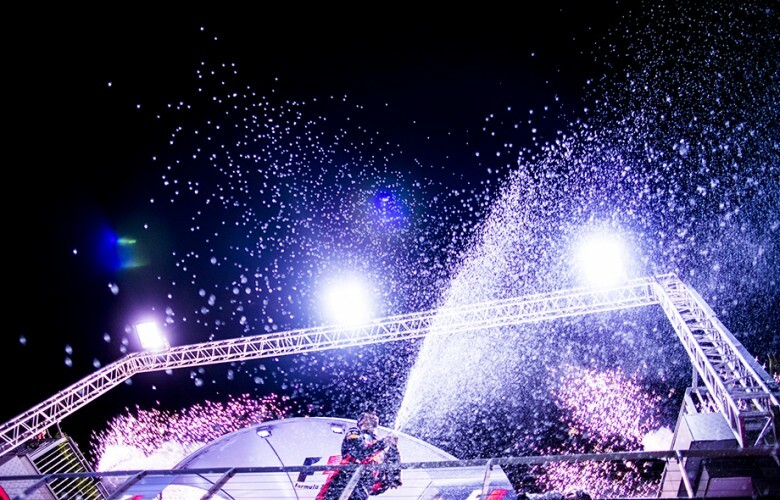 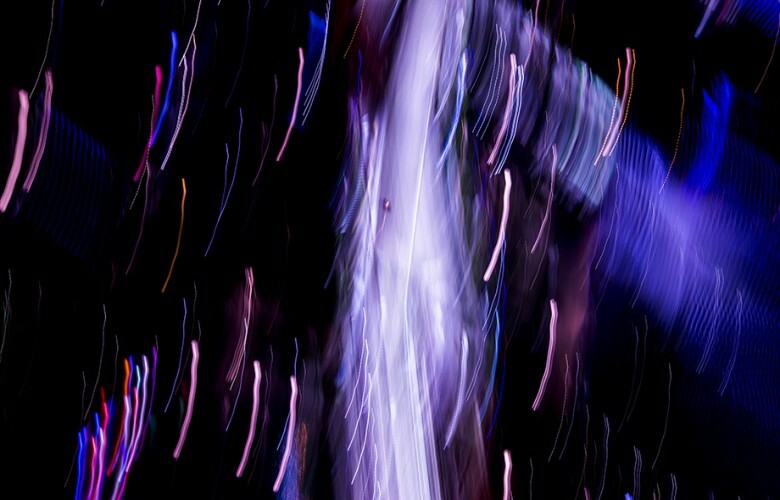 Daniel Ricciardo of Australia and Red Bull Racing celebrates on the podium following his second place finishing during the Singapore Formula One Grand Prix at Marina Bay Circuit on September 17, 2017 in Singapore, SINGAPORE.